Just 500 meters from Phuket's Kata Beach and Kata Town, Rumblefish Adventure (aka ScubaTuna) is a PADI 5 Star Dive Center with a FEMALE Mini Dorm, MIXED dorm and PRIVATE AC rooms. Everything is in short walk from our hostel inside of The Beach Center - a new & clean village with 2 security gates: local & international restaurants, local market & shops, pharmacies, convenient stores, laundry and local bus stop. 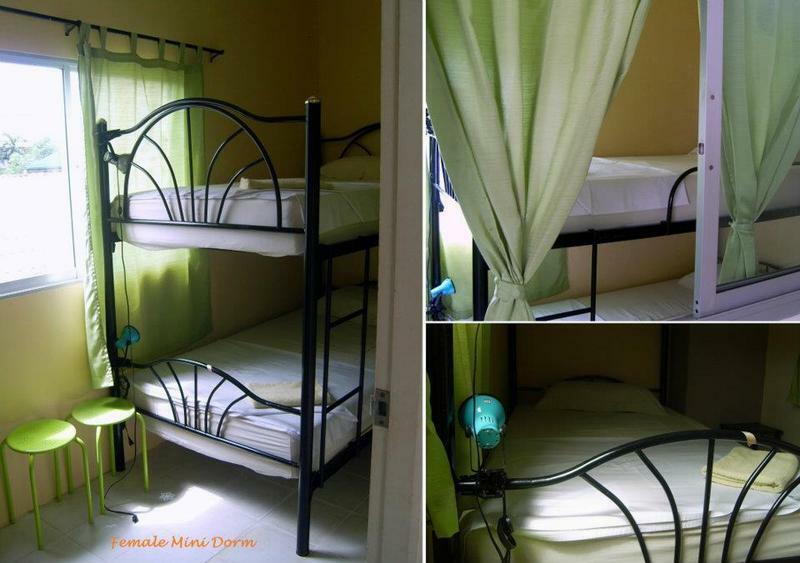 **Female only MINI Dorm** 2 beds (bunk) in 7.3 sqm., 2 fans, towel, individual lockers with locks, hangers & racks, shared bathroom with hot water shower, window and privacy! Please refer to our confirmation email for detailed directions, maps and our airport/bus terminal pick-up services. Use Dome Plaza and the Chabba Hotel as landmarks. We are located INSIDE of The Beach Center on new Kata Bypass Road, NOT on Kata Road. We are 50m from the Beach Center entrance, to the left of Kata Beach Center Hotel Reception. Look for the Scuba Dive Flag signage. Traveling Time from Phuket Airport : 1.5 to 3 hours (shared van), 50 minutes to 1.5 hours (taxi); +30 minutes to 1 hour to clear immigration and collect luggage. Traveling Time from Bus Terminal 2: 45 min - 1 hour (taxi only).